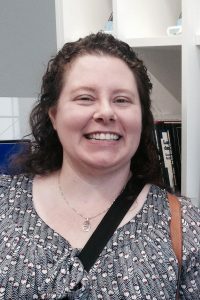 Beth is excited to be joining Asbury University as the Distance Services and Research Librarian at Kinlaw Library. Originally from Ohio, she moved to Kentucky after college to be closer to extended family. She has worked the last 15 years in secondary education as both a high school English teacher and as a librarian. She received her BA in English Education from Indiana Wesleyan University and a Masters of Library and Information Science from the University of Kentucky. She is passionate about reading, information literacy, and expanding the knowledge and comfort zone of those around her. In her spare time, Beth can be found curled up with a good book and a cup of tea, spending time with friends and family, or traveling around the world.